Krueger L E ed. (1989) : The World of Touch. Erlbaum (Hillsdale, NJ), published originally in 1925, Katz D, Der Aufbau der Tastwelt. Ergänzungsband 11, Abt.I, Zeitschrift für Psychologie. 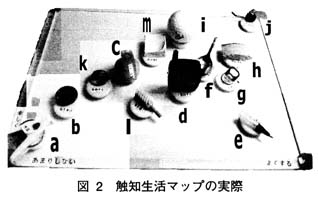 Moriyama M and Harnisch DL (1992)：Use of Visual Symbols To Promote Communication between Health Care Providers and Receivers. Paper presented at the Annual Meeting of the American Educational Research Association, 1-34.